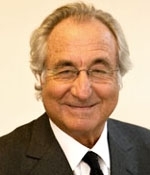 FEBRUARY 2--Fresh from obtaining a credit card with Nick Nolte's photo, an Oklahoma man has pranked an online firm to score personalized postage bearing a portrait of billionaire swindler Bernard Madoff. 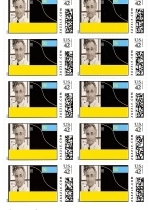 The stamps, seen here, were just issued to David Mackie by Zazzle.com, which sells postage via an agreement with the United States Postal Service. 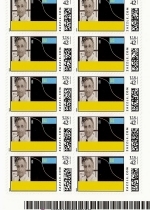 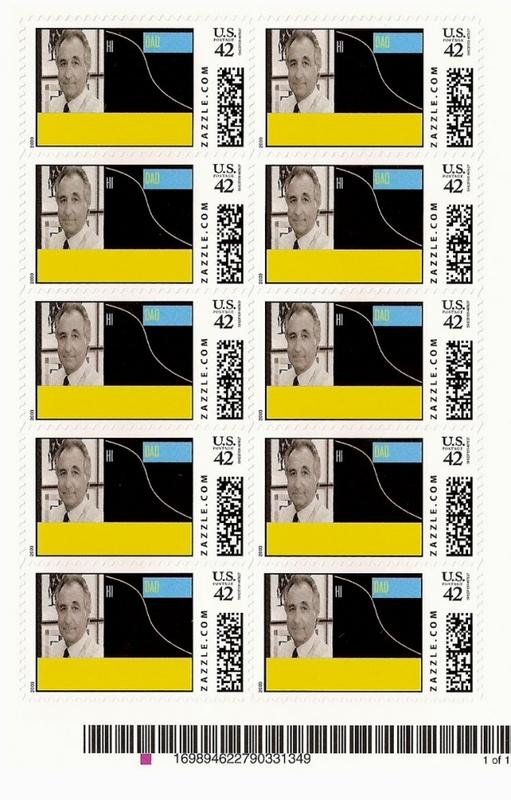 Mackie created the 42-cent Madoff stamps using a design tool on the Zazzle.com web site. 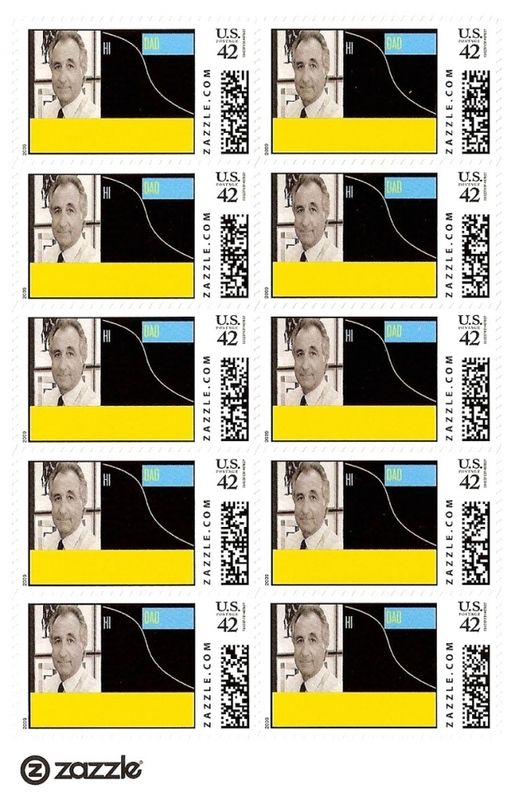 Along with a black and white photo of the accused Ponzi schemer, Mackie added the greeting 'HI DAD' to his Madoff stamps, which likely made the online firm's screeners think that the silver-haired gentleman was the customer's father.